Paul Goldberger, who the Huffington Post has called “the leading figure in architecture criticism,” is now a Contributing Editor at Vanity Fair. From 1997 through 2011 he served as the Architecture Critic for The New Yorker, where he wrote the magazine’s celebrated “Sky Line” column. He also holds the Joseph Urban Chair in Design and Architecture at The New School in New York City. He was formerly Dean of the Parsons school of design, a division of The New School. He began his career at The New York Times, where in 1984 his architecture criticism was awarded the Pulitzer Prize for Distinguished Criticism, the highest award in journalism. He is the author of several books, including the upcoming “Ballpark: Baseball in the American City” which will be published on May 14th by Alfred A Knopf. His other works include Building Art: The Life and Work of Frank Gehry,” published in 2015 by Alfred A Knopf, Why Architecture Matters, published in 2009 by Yale University Press; Building Up and Tearing Down: Reflections on the Age of Architecture, a collection of his architecture essays published in 2009 by Monacelli Press, and Christo and Jeanne-Claude, published in 2010 by Taschen. He is now at work on a full-length biography of the architect Frank Gehry, to be published by Alfred A. Knopf. In 2008 Monacelli published Beyond the Dunes: A Portrait of the Hamptons, which he produced in association with the photographer Jake Rajs. Paul Goldberger’s chronicle of the process of rebuilding Ground Zero, entitled UP FROM ZERO: Politics, Architecture, and the Rebuilding of New York, published by Random House in the fall of 2004 and re-released in an updated paperback edition in 2005, was named one of The New York Times Notable Books for 2004. Paul Goldberger has also written The City Observed: New York, The Skyscraper, On the Rise: Architecture and Design in a Post-Modern Age, Above New York, and The World Trade Center Remembered. He lectures widely around the country on the subject of architecture, design, historic preservation and cities, and he has taught at both the Yale School of Architecture and the Graduate School of Journalism at the University of California, Berkeley in addition to The New School. His writing has received numerous awards in addition to the Pulitzer, including the President’s Medal of the Municipal Art Society of New York, the medal of the American Institute of Architects and the Medal of Honor of the New York Landmarks Preservation Foundation, awarded in recognition of what the Foundation called “the nation’s most balanced, penetrating and poetic analyses of architecture and design.” In May 1996, New York City Mayor Rudolph Giuliani presented him with the New York City Landmarks Preservation Commission’s Preservation Achievement Award in recognition of the impact of his writing on historic preservation in New York. In 1993, he was named a Literary Lion, the New York Public Library’s tribute to distinguished writers. His other awards include the Ed Bacon Foundation’s Award For Professional Excellence in 2007, the Gene Burd Urban Journalism Award from the Urban Communication Foundation in 2009, the Vincent Scully Prize from the National Building Museum in 2012, and the American Academy of Arts and Letters Architecture Award in 2017. He has been awarded honorary doctoral degrees by Pratt Institute, the University of Miami, Kenyon College, the College of Creative Studies and the New York School of Interior Design for his work as a critic and cultural commentator on design. 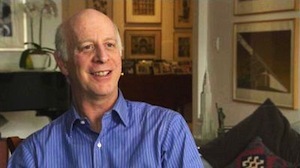 He appears frequently on film and television to discuss art, architecture, and cities, and served as host of a PBS program on the architect Benjamin Latrobe. He has also served as a special consultant and advisor on architecture and planning matters to several major cultural and educational institutions, including the Morgan Library in New York, the Corcoran Gallery of Art in Washington, D.C., the Carnegie Science Center in Pittsburgh, the New York Public Library, the Glenstone Foundation and Cornell and Harvard universities. He serves as special advisor to the jury for the Richard A. Driehaus Prize, a $200,000 prize awarded annually for traditional architecture and urbanism. He is a graduate of Yale University, and is a trustee of Kenyon College in Gambier, Ohio; the National Trust for Historic Preservation in Washington, D.C.; the Forum for Urban Design, and the New York Stem Cell Foundation. He is married to Susan Solomon, and they are the parents of three sons: Adam, a composer for film and television in Los Angeles; Ben, a journalist in Chicago, and Alex, an Olympics researcher at NBC. He resides in New York City.